← May 14 – 36 days to go. Brushing for fitness. May 15 – 35 days to go. 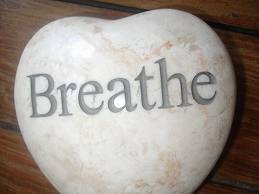 Breathe in…. I once showed up unannounced at a Shinto monastery in Kyoto. The monks were surprised to see a “gaijin” at their door but welcomed me and made me feel very much at home. My Japanese was non-existent and their English was rusty but they tried to describe their philosophy to me. It boiled down to this: You must breathe in before you breathe out. It seemed like pretty good advice and I’ve tried to apply it in a variety of ways. I’ve also taken up a bit of yoga which, of course, emphasizes breathing. I’ve found that I can teach myself to breathe more deeply. When I first started, I could breathe in for about 7 seconds. Now I can breathe in for about 15 seconds. I never really thought of my lungs as a muscle before but they act like one and — like any muscle — you can improve their performance with practice. I’ve read that one of the founders of Ashtanga yoga, known widely as Guruji, could breathe in for 90 seconds. I doubt that I’ll ever reach that plateau but I’ve found that deep breathing exercises help me absorb more oxygen and that helps me bike better. So, take a deep breath and go for a ride. One Response to May 15 – 35 days to go. Breathe in…. Indianapolis will be cheering for you. We pray for wind at your back to push you along.